Is Arnold Iron Pack Effective? Home / Is Arnold Iron Pack Effective? 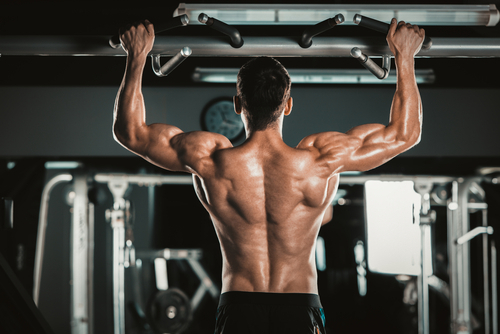 Fitness	Primal Muscle Androxybol Testosterone Booster Review: Is it Effective? Arnold Iron Pack is a fitness supplement that claims to improve your physical functions and overall sports capacities with the use of clinically studied components. 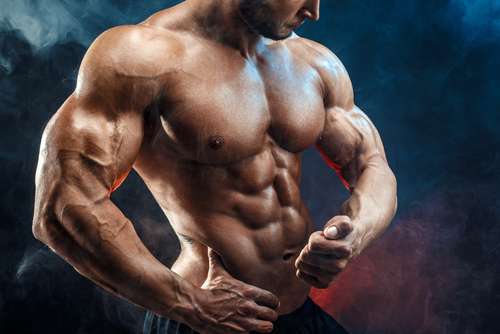 This supplement is being credited to Arnold Schwarzenegger himself, who’s been comprehensively engaged in the creation of his Arnold Schwarzenegger line of muscle-building supplements. Since he used to be a bodybuilder himself, he certainly knows what he’s doing. This line of products is brought to you by MusclePharm, which has since garnered commercial achievement thanks to the endorsement of Arnold Schwarzenegger himself. This product series includes Iron Pack, which is especially developed for male athletes. Said supplement is said to the winner when it comes to training essentials since it has components that are said to promote muscle development, recuperation, and overall physical functions. Plus, the ingredients in Iron Pack are also claimed to promote the health and wellness of the bones, joints, and overall health of the users. Vitamins present in Iron Pack are Vitamin B, which is frequently utilized when it comes to increasing physical functions. Vitamin B helps boost energy, torch fat, enhance mood, and lessen the risk of heart problems. Iron Pack also has lots of vitamins B1, B2, B6, and B12. D-Aspartic Acid – this is an amino acid, which is claimed to aid in the development of the neuroendocrine as well as the nervous system. It is also claimed to normalize the secretion of testosterone according to animal studies. 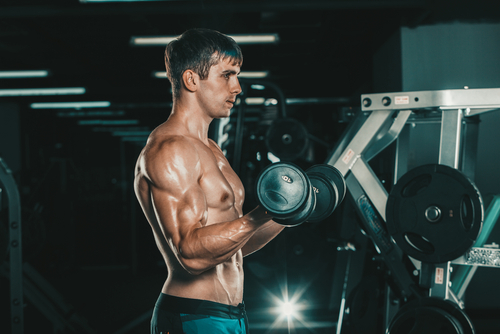 BCAA Nitrate – branched chain amino acids or BCAAs may decrease exhaustion and increase the oxidation of lipids when working out with 300 mg supplementation per day. In Iron Pack, BCAAs could be at 100-300 mg dosage. Carnosyn Beta-Alanine – this ingredient is a dipeptide, which is generated by beta-alanine, an amino acid. It’s been shown in studies that intake of this ingredient could potentially enhance your performance in a high-intensity interval training, as well as increase lean body mass. A study determined that six grams of fish oil, when partnered with working out, ca reduce triglycerides, boost HDL cholesterol, and decrease body fat. Though fish oil in Iron Pack doesn’t make the 6-gram standard, smaller doses could still generate positive effects. Beef liver is a great source of protein, vitamins A and B, as well as other nourishing components. Collagen Complex – In a study, it was found that supplementation of 1,200 mg of collagen daily can help address joint pains after using it for six months. Spirulina Algae Powder – It’s been suggested that this ingredient is able to control and rectify glucose and lipid profiles. It is also believed to rouse the generation of antibodies, which shield us from viruses. It is recommended to consume 500 mg of this component each day for the enhancement of your overall health. Coenzyme Q10 – it is an antioxidant that maximizes the conveying of genes engaged in signaling, metabolism, and delivery. Experts presume that 100-300 mg of this component may lead to minor sleeping problems or raised liver enzymes. Good news is that the content in Iron Pack is possibly smaller. Gingko Biloba – this plant is claimed to be effective in curing memory-related issues, though more studies have to be conducted in order to reach more conclusive results. Arnold Schwarzenegger expressed his full devotion to fitness and nutrition in an article. This is why Iron Pack and the rest of the supplements in the series are claimed to be some of the best in the market. Also, the manufacturer MusclePharm is created by ex-NFL player Brad Pyatt. Since its operation, the company has produced high-quality supplements that cater the needs of the people in the nutrition and fitness industry. BodyBuilding.com even named the company “Brand of the Year” back in 2012. The supplement is widely distributed, so it’s available in numerous retailers. You can find the product for a price range of $30-$40 per pack. Iron Pack is a decent fitness supplement that you should try if you want to gain an edge in your training and overall performance. It is loaded with high-quality components that have the potential of delivering notable results. Plus, it’s created by no other hand Arnold Schwarzenegger himself. He was comprehensively involved with its creation, which implies that it’s made with all the best ingredients and technology available.